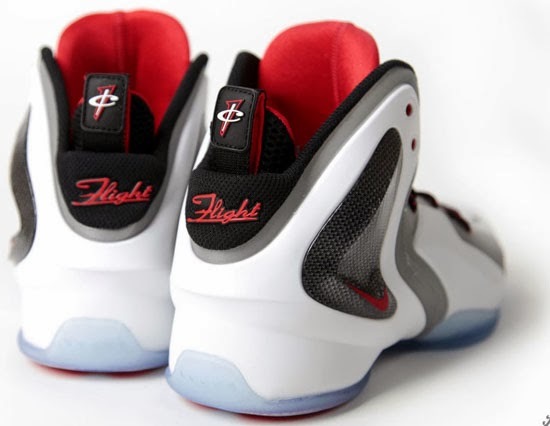 Nike continues to show Lil' Penny love with another sneaker for Penny Hardaway's counterpart in 2014. 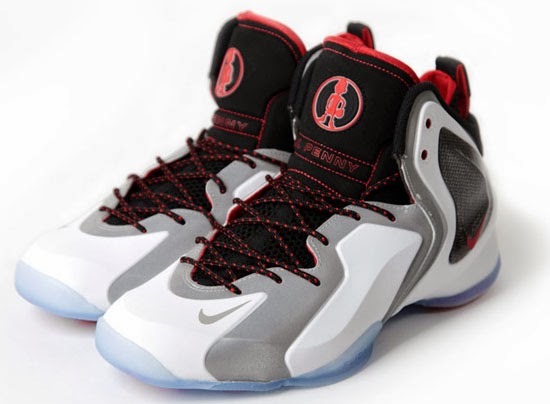 This is the Nike Lil' Penny Posite. Originally set to debut during the 2014 NBA All-Star weekend that was held in New Orleans, Louisiana back in February. That colorway has been pushed back and should be released at a later date. 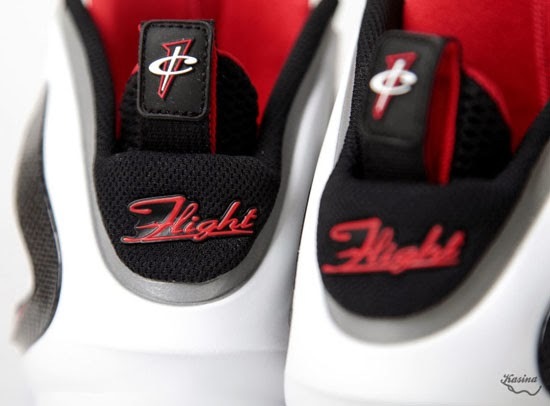 But now, we take a detailed look at another colorway that surfaced overseas recently. 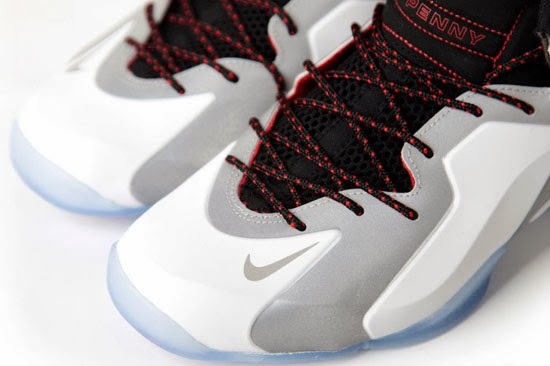 They come in a white, reflective silver, black and challenge red colorway. Featuring a white and 3M reflective silver upper with black and red accents and hits of carbon fiber finished off by a full icy blue translucent outsole. 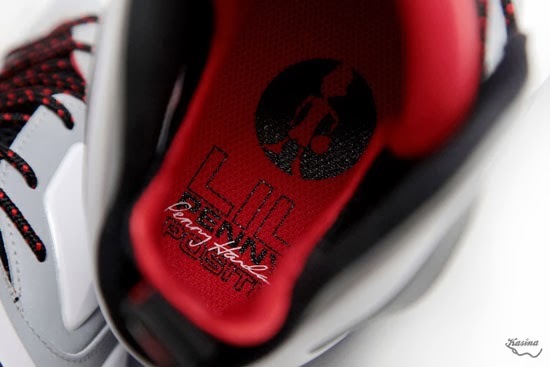 The Lil' Penny logo with the name "Lil Penny" are found on the tongue while Penny Hardaway's "1 Cent" logo is featured on the back heel pull tabs. 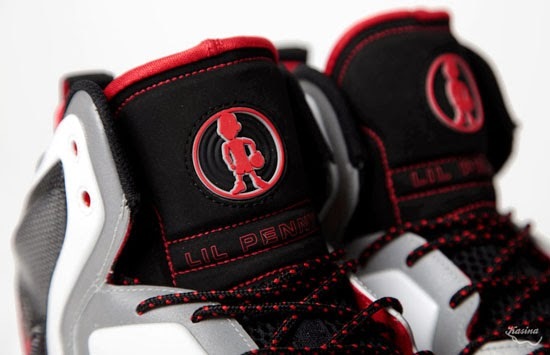 Rounding things out is the Lil' Penny logo once again along with the name of the shoe and Penny's signature written on the insole. A limited release, look out for these at select Nike accounts worldwide later this year retailing for, $190. Once an official date is set, I will make an update and let everyone know. 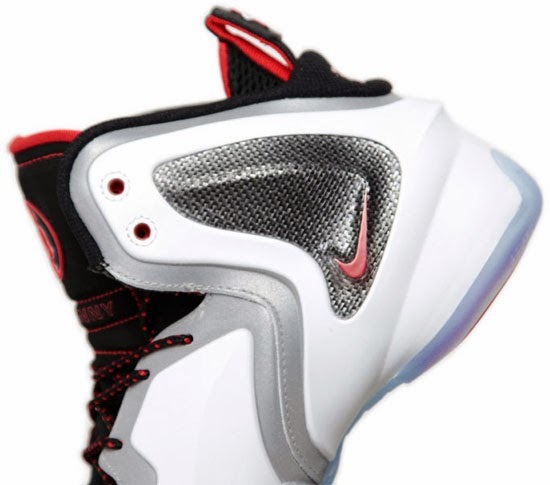 Enjoy the detailed images below of the Nike Lil' Penny Posite in white, reflective silver, black and challenge red. If you're interested in picking these up when they release, check in with your local spots to see if they will be receiving them. Those of you looking for a pair now can, grab them from eBay here.